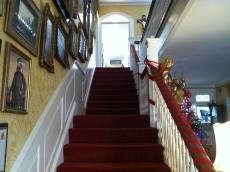 My visit to the Inn at Brevard in Brevard, NC was a really nice visit since it was at Christmas time and the Inn was decorated for Christmas with all of the decorations which would be appropriate for that period. 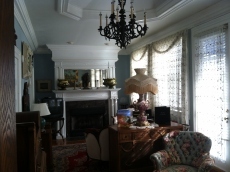 The owners were very friendly and allowed us to explore the inn which was filled with a lot of historical furniture and decorations. 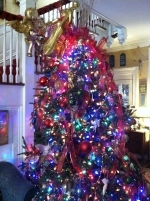 The large Christmas tree in the entranceway was a nice touch which I really enjoyed. 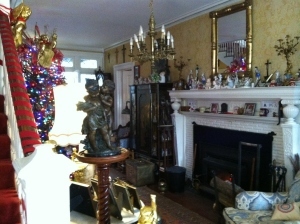 We were even able to see several of the historic rooms, which were also decorated with antique and historic pieces. 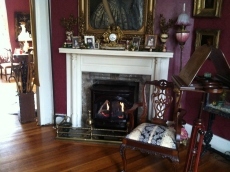 Most had period desks and some even had in room fireplaces. 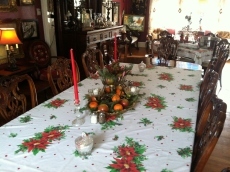 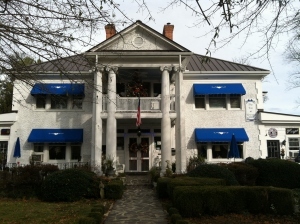 This lovely inn is a great place to stay at Christmas time or any time during the year.